With offices based in Margate & Canterbury Kent, we offer affordable van hire to customers in and around the Southeast region. 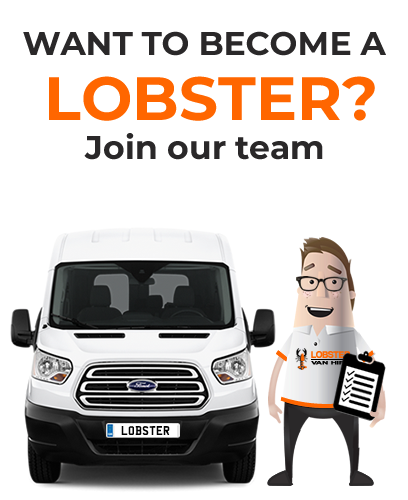 With many vans to choose from and staff that are always happy to help, Lobster Van Hire is exactly what you are looking for. If it’s cheap Van hire you’re after, then it’s cheap hire you’ll get! No matter what kind of job you have in mind, Lobster Van Hire has a vehicle that can handle it. It’s our job to provide you with the best hire deals on the market and we’re proud of the great service we offer. Over the past year we have built up a good selection of vans for our customers to hire and all of them being affordable, reliable and trustworthy. If you’re unsure as to what kind of van you’ll need, simply look at our fleet on the Home Page to find out what we have, their sizes and what jobs they are best suited for. For example, if you’re moving house and need to find a rental van that can deal with big loads, just check the van dimensions on the website. 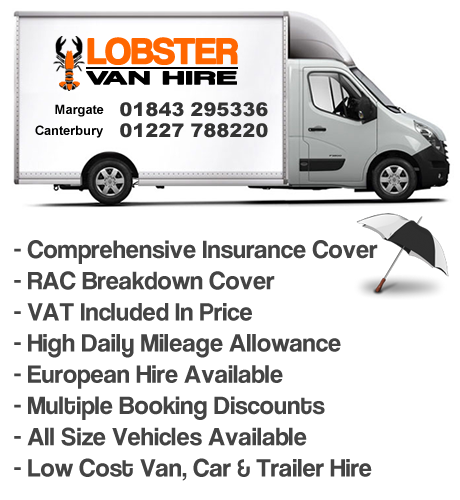 Alternatively, if you prefer to speak to someone about the kind of cheap van hire you need call Lobster Van Hire today.